If you are looking forward to secure your house and you are interested in putting some gadgets and techniques in the house for security, then here we are to tell you that you can find a big number of variable options to secure the house. Although there are a lot of things that one can implement in the house to secure it, here we are going to discuss the security cameras only. Security cameras not only scare a person who is trying to make some crime, but they also record the details of the way the crime has happened. So that, if unfortunately some crime has happened you have a proof for it to in the recorded form for the later investigation process. You can also differentiate the security cameras depending upon the housing in which they have been placed, and this is as follows. The further classification of the security cameras can be done based on the extra features that they exhibit and the combination of these features being present in a single camera. The more features a single camera holds, the better it is to be used and more efficient the camera becomes in the list of available. These extra features typically include the following, however exceptions to this list also exist. What is a light bulb camera? When we talk about cameras, we learn that the security cameras are found in two major types, hidden and visible camera. The light bulb cameras are from the world of hidden security cameras, this type of camera is hidden inside the housing of a light bulb so it looks just like a normal camera to you. However, the powerful security camera is disguised in it and the criminal would never think of getting recorded on the camera just inside the light source. 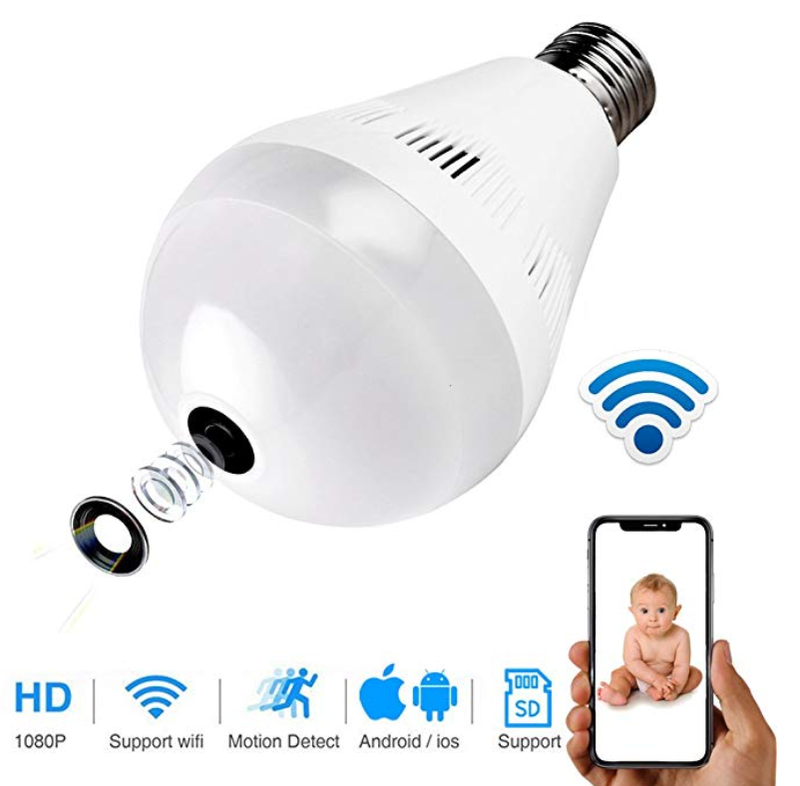 The most amazing thing about this camera is that it functions perfectly well as a light bulb and it can be installed easily into any standard light bulb socket. 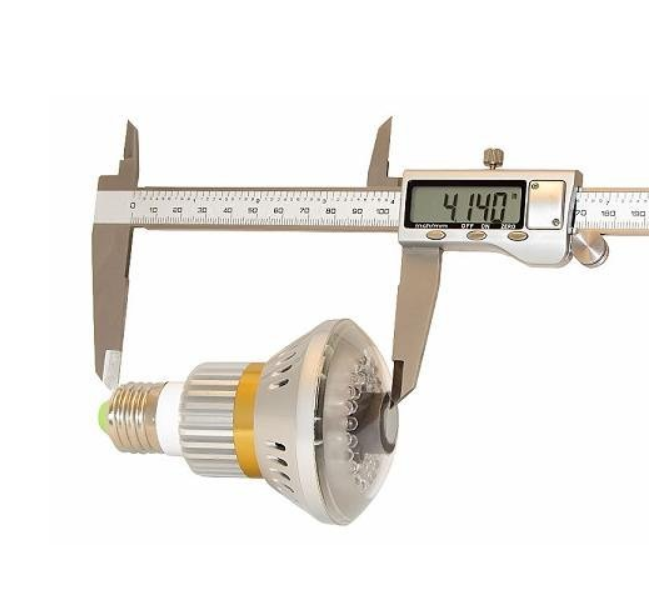 If the idea of the disguised light bulb appeals you, then let us take you to a brief list of the best light bulb camera out there so you can pick the right one for your house. As the name implies, this is the camera that has a lot of features to help you secure the house and provide security features to the people living inside. 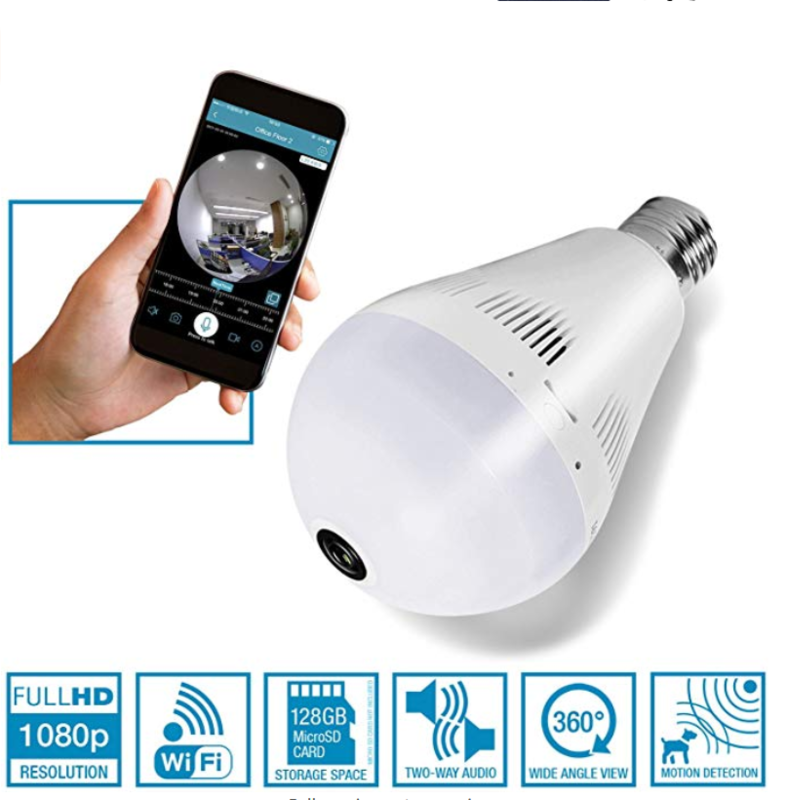 Primarily it is a disguised security camera that resides inside an LED light bulb, providing you two way features of efficient light as well as the security. The camera comes with a full view of 360 degrees and there is no chance for any blind spot in its vision as well. This helps you get maximum protection and the 1080P high resolution of the video provide crisp clear imaging. It provides recording and live video streaming both. The camera is easy and simple to install so no hustle with the fixation. The camera sends you an alert on your phone with slightest of motion in the house and provides video recording as well to watch the footages later. The advanced video recording option allows the user to control the camera via their mobile phones and get live footage as well. 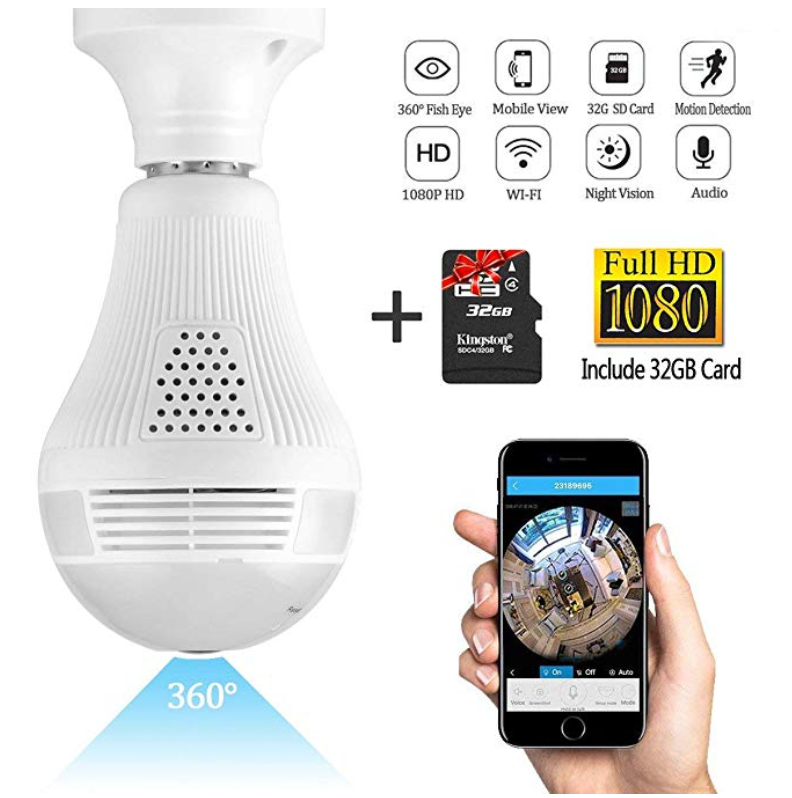 If you are not into purchasing the forth mentioned camera, then this one might appeal you for the purchase and for the security of your house as this camera is highly efficient and it provides you with all of the functions and features you are looking forward to have in your light bulb camera. Disguised in a light bulb and a fish eye design, this camera is one of a kind and the features are described below. To provide you the image of the whole room, the camera records in panoramic as well. The camera comes with a full view of 360 degrees and there is no chance for any blind spot in its vision. This helps you get maximum protection and the 1080P high resolution of the video provide crisp clear imaging. The camera comes with a Wi-Fi connectivity feature so that the person who has purchased it can easily control the camera and get the footage from the house just by operating their mobile phone. The most amazing feature of this camera is the panoramic shooting, however, other than this is the feature of motion detection and email alerts that keep the owner up to date with the activity at the installation point of the camera. 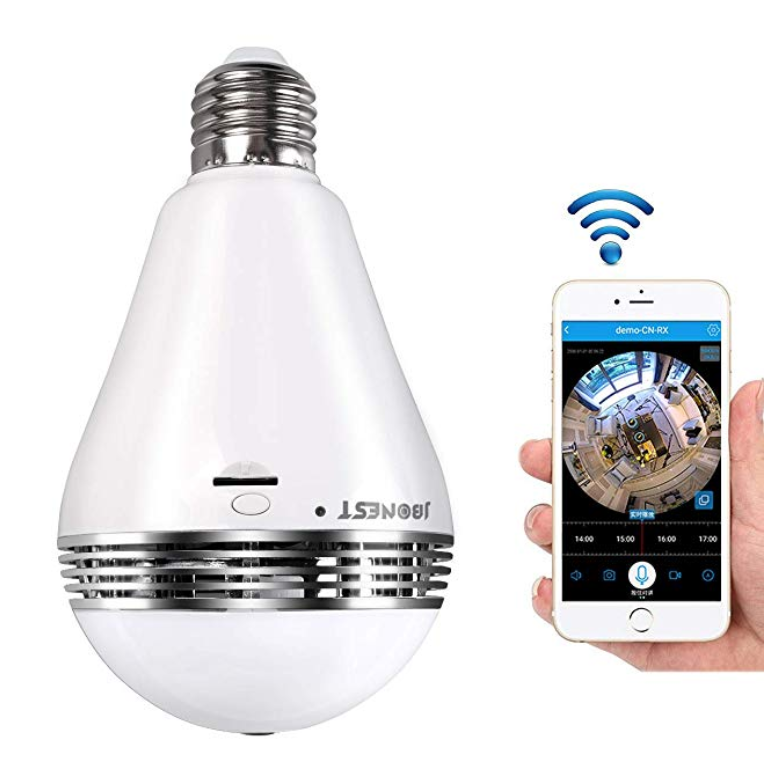 Belonging to the world of ElectroFlip, this amazing light bulb disguised security camera is something that can make all your worries regarding the security concerns for your home be gone. This camera has a very high quality for the video output so that you do not miss any detail from the footage you are looking at. Also there is a motion detector in the camera as well that alerts you with every slight motion in the vicinity. Ultimate affordable and low maintenance. Since it is an outdoor camera, you can expect it to require a lot of maintenance regularly but this is not the fact. It is a low maintenance and very affordable camera which is completely weatherproof. With so many amazing features and all positive reviews from the customers, thus camera from NuNet has gained popularity within a very short period of time. The night vision, panoramic view and high video quality makes this camera highly desirable. The high quality panoramic view enables the user to have a look at the whole scene without missing a single corner. All parts of the room are covered and with the full HD feature, the video recorder in high resolution i.e. 1080P provides extremely efficient and crisp clear images. The camera also provides the night viewing feature so you get the detailed videos recording for day and night equally. The motion detection alerts you with slightest motion so you know what is going on in the area. The camera also serves the purpose of LED light bulb so you can light up the space where the camera is installed. This is the final one on our list that will help you learn a bit more about cameras and decide which one you need for your setup, be it the commercial or residential one. This camera also has a lot of features and like the fourth one on our list, it also is from NuNet. The camera is easy to install and apply as there are no drilling and wiring involved in it so anyone can easily install it. All you have to do is to screw the bulb in some random light bulb socket and it will start functioning. The motion detection feature is very helpful as it sends the alert at your phone app with every change in the vicinity. Even if it is a cat moving, you will know it. Unlike other camera manufacturers, who ask for a monthly fee for providing privileges to save your videos on cloud, this camera does not ask so.